Provides leadership, structure, and communication systems for the members to serve effectively in their roles. Sets agendas and runs weekly organization meetings. Establishes and implements yearly goals. Acts as the contact and spokesperson for NLA. Provides leadership, communication, and organization to NLA in the event that the Executive Director cannot fill their role. 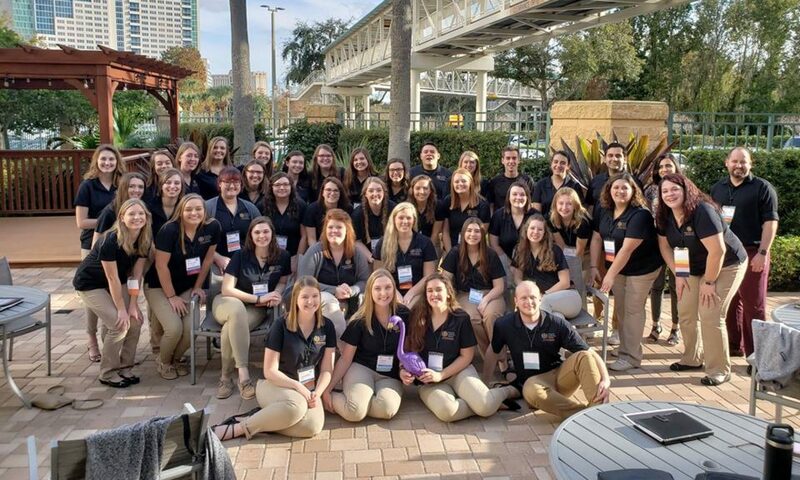 Organizes and oversee the Annual Cedar Valley Nonprofit Awards Luncheon in the spring semester and coordinates the trip to the Alliance Management Institute during the fall semester. Keeps accurate reports of organizations’s bank accounts and finances. Creates budget and keeps it organized and up to date. Works with the University and NISG to receive financial services for the student organization. Keeps track of membership attendance and involvement at each meeting. Takes notes and sends out reminders about all meetings and activities. Updates NLA e-mail list serve each semester. Reports to local newspapers and the University on important events. Keeps up to date with brochures, promotional materials, the NLA newsletter, website, and the Facebook and Twitter pages. This position also manages photo releases for NLA and photographs NLA students, activities and events. Works with the advisory board to plan and implement strategies for increasing the organization’s resources. Organizes and leads the Annual Fundraising Campaign. Keeps track of fundraising activities and amounts earned. Recruits for Nonprofit Leadership Alliance and invites students of all majors to become a member of the Nonprofit Leadership Alliance. This position includes: tabling, talking to classes, and organizing monthly socials for NLA. Brings in speakers to teach about fundraising, networking, professionalism, etc. Arranges field trips to local nonprofit organizations. Increases ties with nonprofit partners. This director also organizes the Annual Nonprofit Explor-A-Ganza. Plans and organizes the Nonprofit Leadership Alliance 500 hour community service project that is completed annually. This year the community service committee will oversee research projects with the Northeast Iowa Food Bank, Love INC, The Black Hawk YMCA, The Job Foundation, and United Way. Works with local nonprofits to identify topics of interest for research. During the spring semester they will meet with nonprofits and establish the research topics. In the fall semester the consulting committee will conduct their research and prepare presentations to present at the Alliance Management Institute. For more information regarding the Leadership Team positions please refer to the Student Handbook or contact Kristina Kofoot.